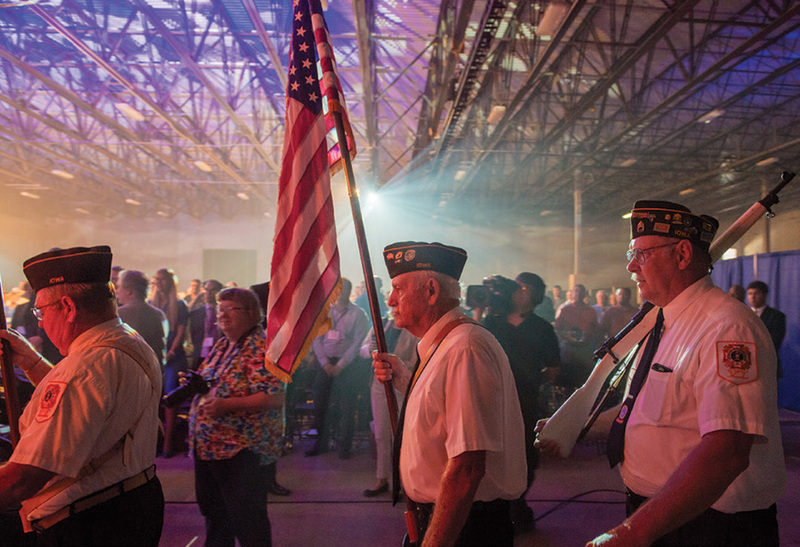 On September 3, 2014 with close to 2,500 people in attendance, Project LIBERTY in Emmetsburg, Iowa became reality. The day was celebrated with public tours, speeches from well-known dignitaries from both the United States and the Netherlands including His Majesty the King, Willem-Alexander, King of the Netherlands, U.S. Secretary of Agriculture Tom Vilsack, Deputy Under Secretary Michael Knotek of the Department of Energy, Governor Terry Branstad and Lieutenant Governor Kim Reynolds of Iowa. 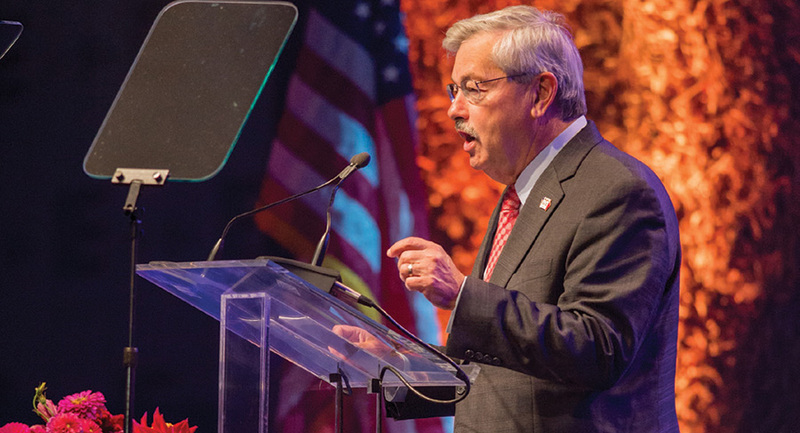 Iowa Governor Terry Branstad and Lt. Governor Kim Reynolds greet His Majesty King Willem-Alexander of the Netherlands upon arrival at Project LIBERTY. 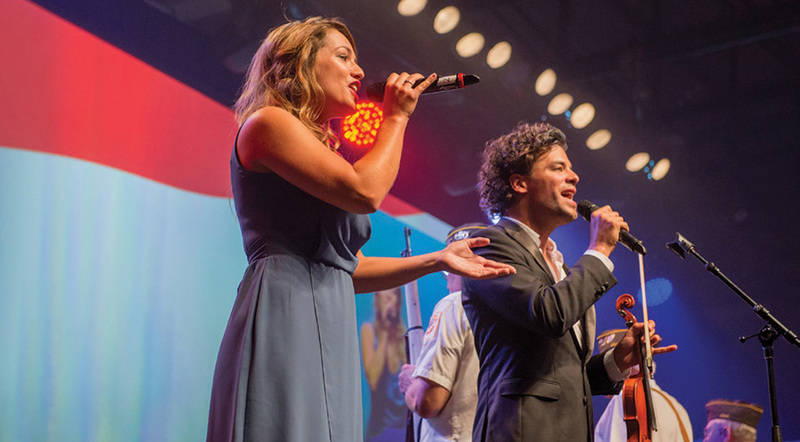 The Dutch National Anthem was performed by Deborah de Groot and Diederick Ensink. 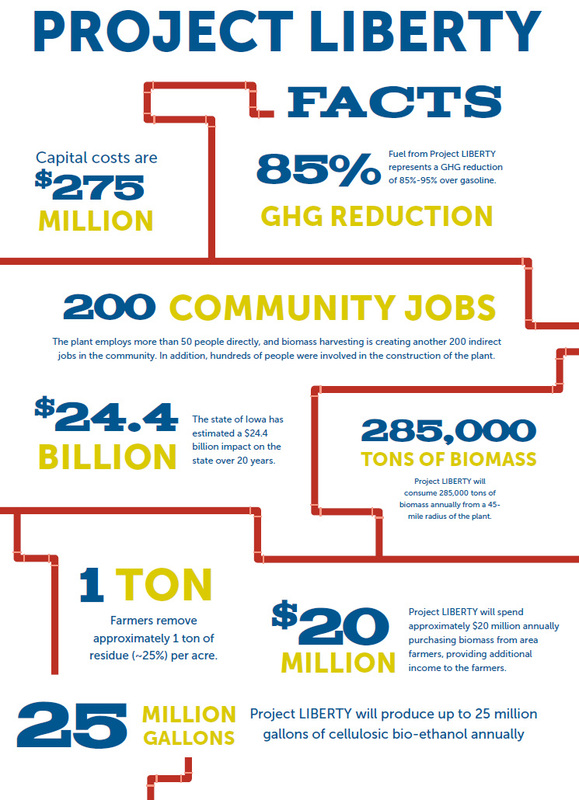 “In Iowa, more than 82,000 good-paying and important careers are supported by the biofuels industry. 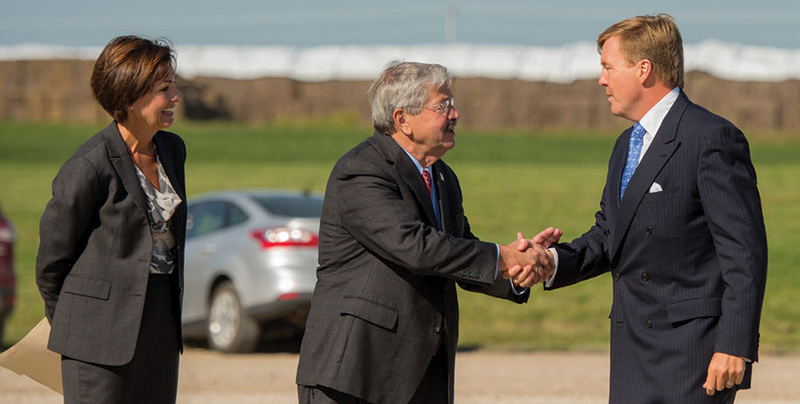 We want to work with companies like POET-DSM, and others, to sustain and grow more careers here at home.” Iowa Governor Terry Branstad said of the Grand Opening of Project LIBERTY. It was a beautiful day to see the biorefinery as attendees waited in line to begin their tour. The VFW Post 2295 from Emmetsburg presented the colors for both the United States and the Netherlands. 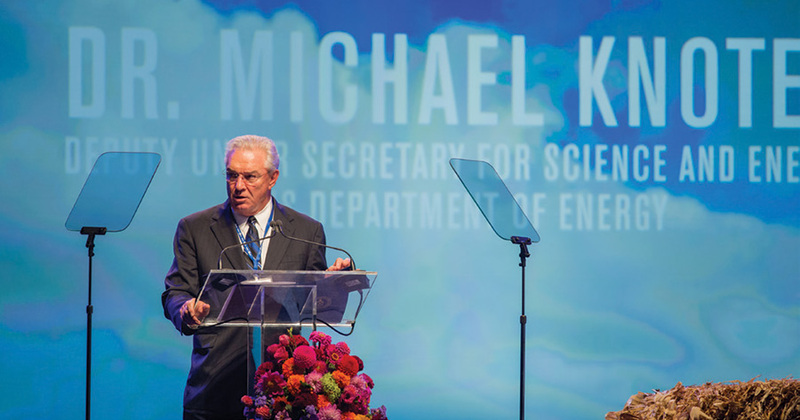 Dr. Michael Knotek spoke on behalf of the Department of Energy. 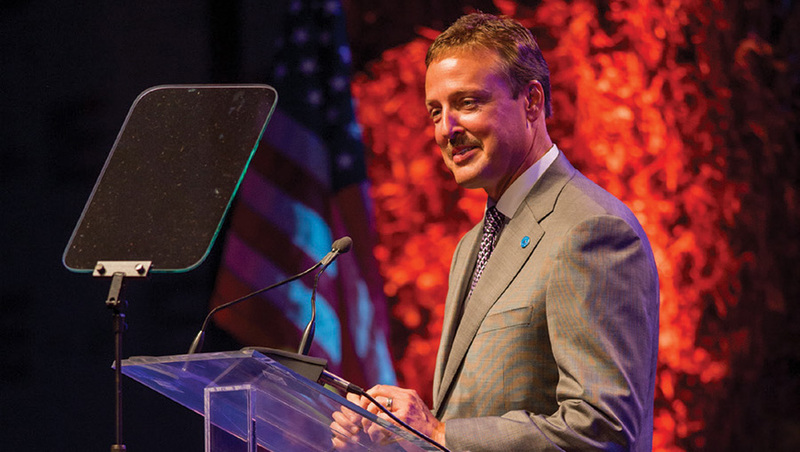 “This is an historical day in the development of plant-residue-based cellulosic ethanol as a viable, commercially attractive alternative to gasoline as we are moving from the fossil-age to the (bio-)renewable-age. For DSM this is a strategic investment, applying our proprietary technology to convert agricultural residue on a commercial scale, allowing it to be replicated at other facilities globally as we are ramping up our cellulosic ethanol licensing business,” said Feike Sijbesma, CEO & Chairman, DSM. Many grand opening attendees took advantage of the public tours provided at the celebration. Attendees learned about the cellulosic process as they were guided through the biorefinery.